Lenovo has officially launched its budget Vibe series smartphone, Vibe C2 in Russia. The smartphone was previously reported to launch as 2016 Moto E.
Lenovo Vibe C2 has all the specifications one has come to expect from a budget smartphone. It features a 5-inch display with a resolution of 1280 x 720 pixels. Lenovo Vibe C2 is powered by MediaTek MT6735P processor. The quad-core processor is clocked at 1.0GHz and comes with Mali-T720MP2 GPU. Under the hood, there is 1GB RAM and 8 or 16GB internal storage. 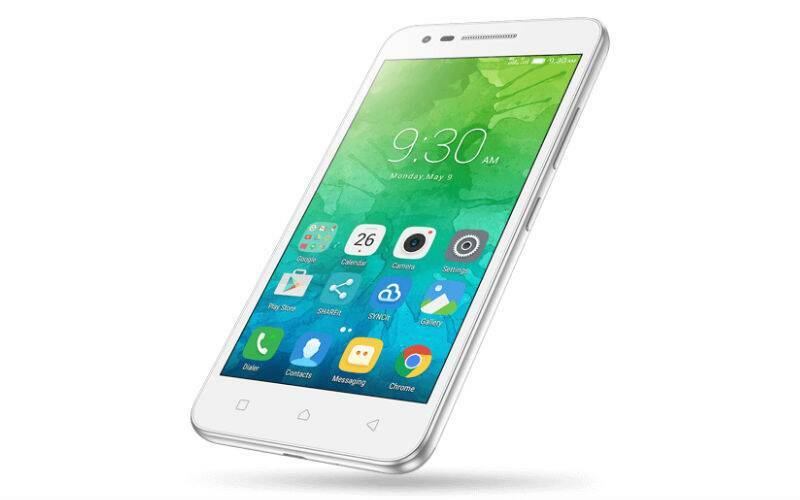 Lenovo Vibe C2 is a dual SIM device and support 4GB LTE and expandable storage. As far as camera is concerned, Lenovo Vibe C2 sports an 8MP rear shooter and a 5MP front camera. Lenovo Vibe C2 runs Android 6.0.1 Marshmallow with company’s own Vibe UI on top. The budget device is backed by a 2,750mAh battery. We can assume that Lenovo will launch its Vibe C2 in India soon and could be called Moto E 2016.